Instagram is a nice mobile app that lets users add nice effects to their photos. But what if you want to share that edited photo in your Flickr account. Freethephotos is a free online app that allows users to transfer their Instagram photos to Flickr account in one click. 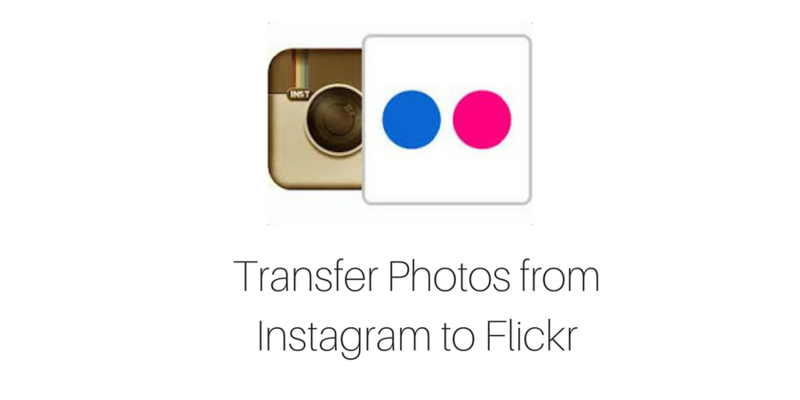 Before transferring photos from Instagram to Flickr, you need to log in with both accounts. After this, freethephotos will do everything for you. Authorize freethephotos to access your Flickr and Instagram account. Before using this service, you need to know the Flickr has a limit. You can not upload more than 300 MB in free Flickr account. So the tool also has the limit and it will not upload images to your Flickr account if you exceed the limit. If you have lots of images to transfer, you can use the alert option by clicking on the check box. Select the check box and then add your email address. Once the transfer is finish, it will send you a notification email. This is a nice online tool that can be used to share your Instagram images on Flickr or take Instagram photos backup on Flickr. As we have seen that the transfer of images is really easy. You only need to connect both accounts and then click on transfer. The only thing you need to take care is the account limitation in Flickr. Use this nice tool and share your views with us. Comment below if you have any kind of problem.